The 1876 Centennial Rifle from Uberti is an exact replica of the Winchester Centennial Rifle, but even better. It has stronger materials and more precise matching to exacting tolerances and specifications. Today’s model is more accurate and stronger for use with modern smokeless and black powder ammunition. 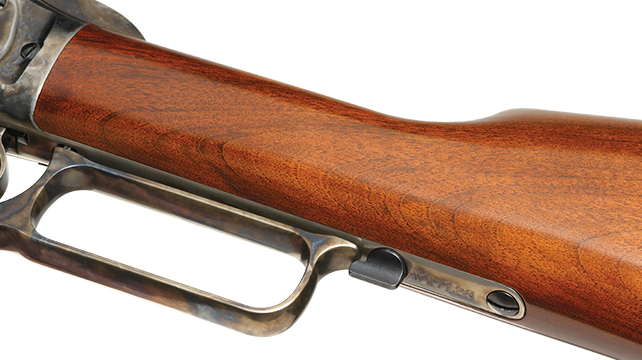 True to the originals, the 1876 Centennial Rifle is chambered in the hard-hitting calibers: .45-60, .45-75, and .50-95. These Uberti rifles are powerful enough to take down North America’s largest big-game animals. 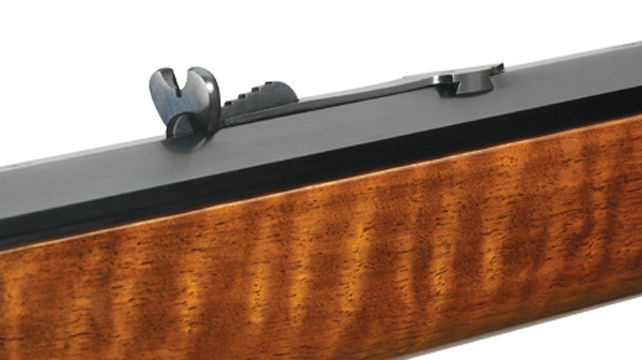 The rifle has a 28 inch octagonal barrel, fully adjustable sights, color case-hardened receiver, and A-grade walnut straight stock and forend. 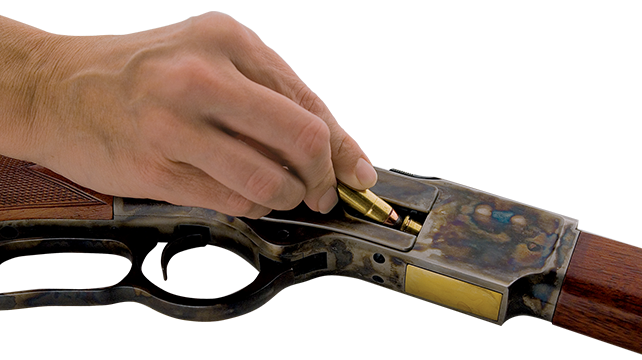 Find an authorized Uberti dealer. Ensures lever remains securely in place. Has buckhorn adjustable rear sight and blade front sight. Provides easy loading of the tubular magazine.